This classy overlock sewing machine comes from a name that you can trust and it looks great. 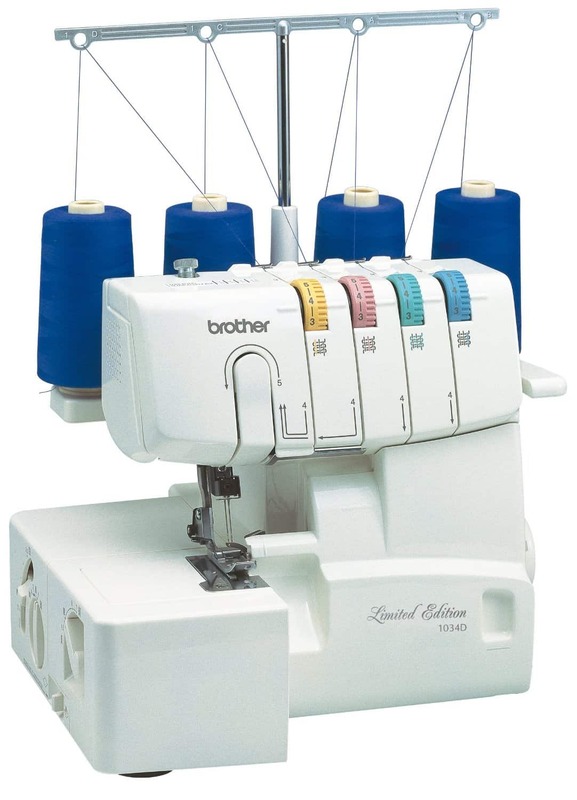 With a list of useful features and a lot of style, the Brother Overlock 4234D is well worth taking a look at. 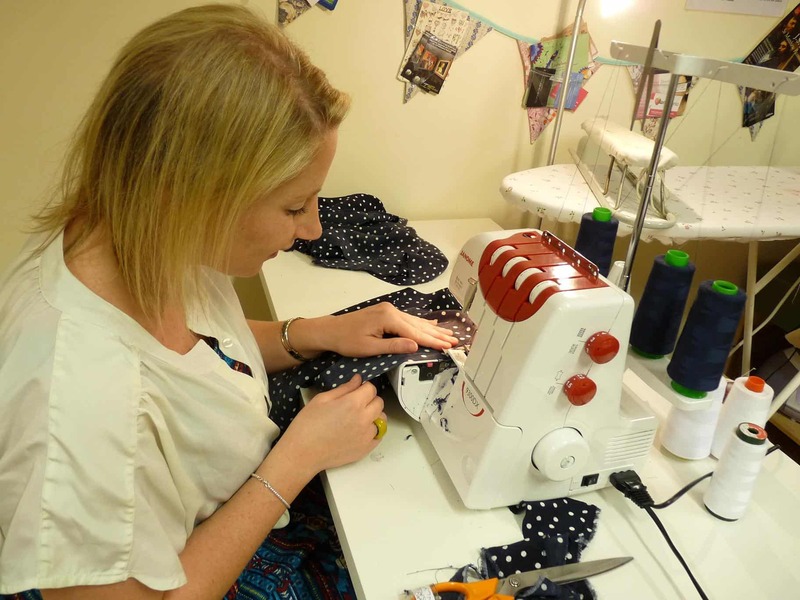 It isn’t the cheapest machine of its type out there, so it probably best suits someone who has some experience with sewing machines and is now looking for a top quality device that they can make the most of. This model comes with a 3 year warranty and gives you pretty much everything that you could ask for in an overlock sewing machine. If you want a top quality overlocker that won’t let you down then you can’t do much better than choose this Brother product. To start with, we should point out that this is a 2/3/4-thread overlock sewing machine. 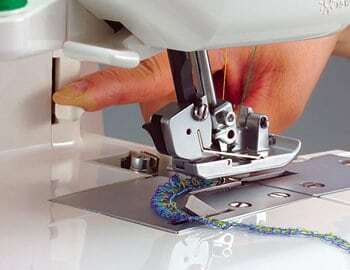 It is incredibly easy to get started on, thanks to the needle threader and threading guide for the machine’s lower hook. 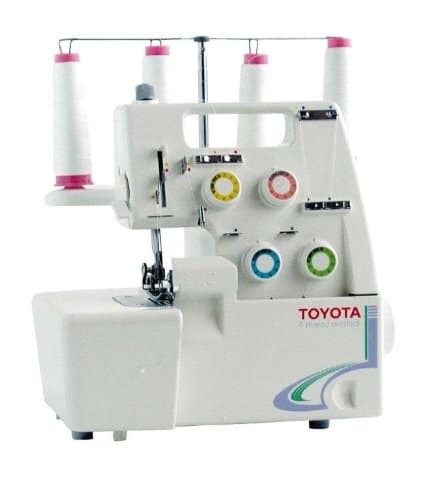 With regulation of the sewing foot pressure and a free-arm / flat bed convertible for overlocking cuffs and sleeves, this is a model that makes it very easy to produce professional results and decorative effects. 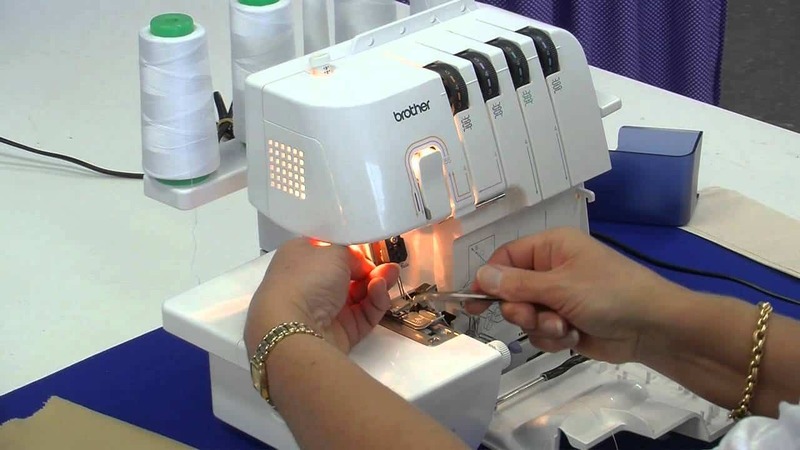 The instructional DVD that comes with the Brother Overlock 4234D lets you get started very easily and without any fuss. 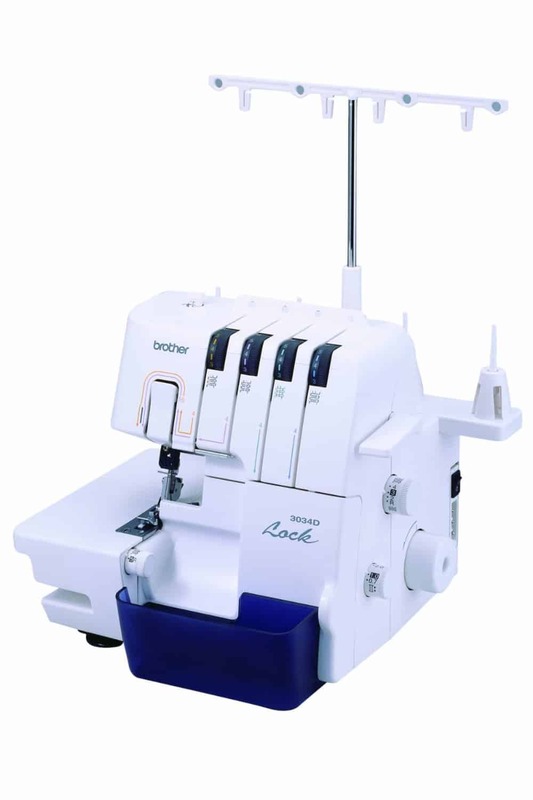 Other feature such as the extra bright LED light and the differential feed for different types of fabric just add to the attractiveness of this great little overlocker. Weighing in at 8kg and with dimensions of 30 x 36 x 34 cm, this is a compact but sturdy sewing machine that comes with a useful carry handle to let you move it around effortlessly. If you are looking for a highly portable sewing machine that you can take anywhere then this is a sound choice. It is sturdy enough to handle being moved around while being light enough to ensure that this is an easy task that you can do without having to think about it or plan it in advance. It is also important to know that it looks fantastic too. If you are planning on putting this sewing machine in one spot for regular use then the great looks mean that you can make it a focal point of any room rather than trying to hide it away out of sight as you might do with less impressive machines. If you want the best possible quality and don’t mind paying a little bit more for it then this is a terrific choice of sewing machine. It will open up a whole new world of flexibility for when it comes to creating unique and attractive finishes.